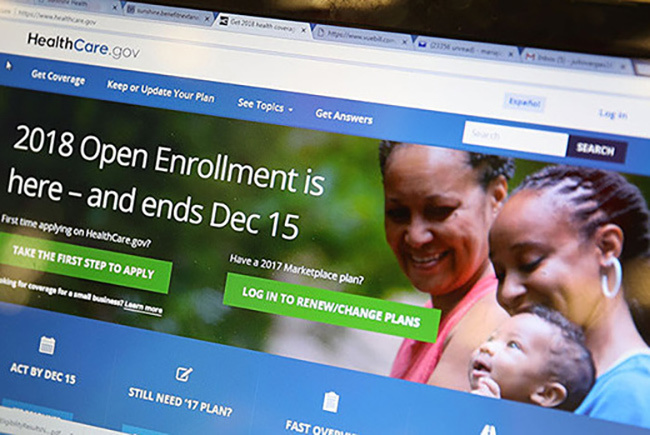 Enrollment across the country is lagging compared to prior years. But Florida, which consistently has led all states in the number of residents who choose ACA coverage, also known as Obamacare, is not far behind last year’s totals. More from the Miami Herald, the Tampa Bay Times, and FOX 13. The state Agency for Health Care Administration wants $16.3 million to help insure an additional 22,000 children in the Florida Healthy Kids program and lower the costs for some children already in the program, according to a legislative budget request. More from Health News Florida and the Tampa Bay Times. A number of high-profile incidents involving active shooters at hospitals nationwide have put medical centers on alert in recent months. While the news has drawn more attention to the issue, Don Crist, vice president of support services for Flagler Hospital, said administrators have been incrementally rolling out upgrades on the campus over the past several years. Samira Beckwith, president and CEO of Hope Healthcare, will be a member of Governor-elect Ron DeSantis’ Transition Advisory Committee on Health and Wellness. NCH has several advertisements on popular recruitment websites looking for hospitalists — despite community backlash toward changing the admissions policy, requests from elected officials to present proof it’s good for patient care and a lawsuit threat. Free flu and hepatitis shots will be available at a drive-thru clinic in Orange County tomorrow. Nurse practitioners will be available to administer the vaccines while people are still in their cars.